Peak Ghawar: A Peak Oiler’s Nightmare | Watts Up With That? Reality… I can do this for any field in the Gulf of Mexico because I have easy access to the production data. I could also do it for just about any oil reservoir on Earth; I just don’t have those data literally at my fingertips. EI 330 is just the biggest field on the shelf (<500′ water depth), almost 500 million bbl of oil and 1.9 TCF of gas from September 1972 through January 2019. The field averaged 820 8,200 bbl/d in 2018. A rate vs time plot would look very similar; however rate vs cumulative production is what matters. EI 330 has also been cited as an example of abiotic oil… ROTFLMFAO!!! DiChristopher, Tom. “Saudi Arabia’s Massive Oil Reserves Total 268.5 Billion Barrels, Even Bigger than Previously Known.” CNBC, 9 Jan. 2019, www.cnbc.com/2019/01/09/saudi-arabias-massive-oil-reserves-grow-by-2point2-billion-barrels.html. Rapier, Robert. “The Permian Basin Is Now The World’s Top Oil Producer.” Forbes Magazine, 5 Apr. 2019, www.forbes.com/sites/rrapier/2019/04/05/the-permian-basin-is-now-the-worlds-top-oil-producer/. Wald, Ellen R. Investing.com. “What Saudi Aramco’s Bond Prospectus Reveals About Its Oil Reserves.” Investing.com, 4 Apr. 2019, www.investing.com/analysis/saudi-aramco-bond-prospectus-200403775. ← Duelling Climate News: Amazon Embracing Big Oil AND Expanding Renewables? As always, David, That was a very informative read. Thanks. But abiotic oil is such a warm fuzzy. Can’t I believe in it anyway? Or should I shift my fantasies to what we know is remaining and the fact that we’re still finding more oil? What about my great grandchildren? 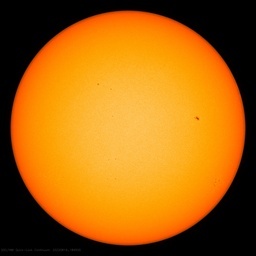 Will they be left with only a few hundred years of fossil fuels? The idea of rapidly re-filling oil fields is likely a fantasy based on the evidence. Given the abundance of hydrocarbons throughout the solar system (and the measured abundance of hydrocarbons in the spectra of distant nebulae), it is madness to believe that Earth is somehow uniquely the only place where hydrocarbons are primarily biogenic. 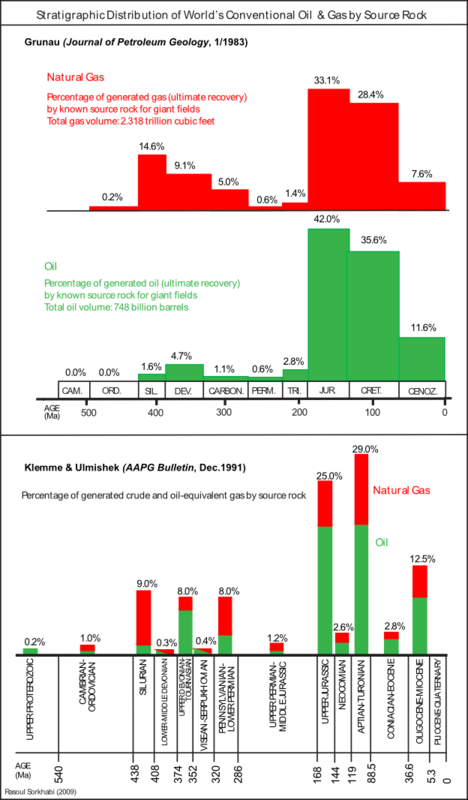 Non-biogenic hydrocarbons are just not where we would expect them to be based on assumptions about biogenic hydrocarbon formation.I would not be the least surprised if relatively abundant oil eventually ends up being found just about everywhere. Apart from biogenic methane, oil and most natural gas are thermogenic. They aren’t formed by biological processes. They are formed by thermogenic processes from material of biological origin. Abiotic methane is common on Earth and elsewhere in the Solar System and Galaxy. Methane isn’t oil. One of the primary abiotic oil fallacies is that they flat-out don’t understand the conventional theory of oil & gas formation. They aren’t formed by biological processes. They are formed by thermogenic processes from material of biological origin. You win a “Subduction leads to Orogeny” T-Shirt. 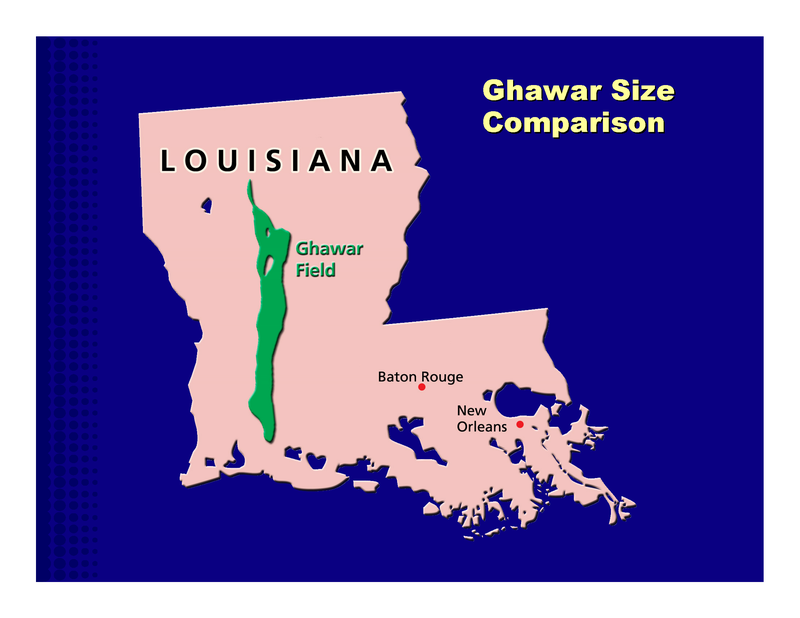 Gwahar is small compared to Louisiana. Pick on Delaware, everybody does. I do tend to mix up biotic and biogenic. Dyslexia. I understand the conventional theory just fine, I simply find it unbelievable that earth alone is somehow exempt from the otherwise universal formation of primordial hydrocarbons. As tampatom pointed out, complex organics and hydrocarbons have been observed forming in deep space. They’re everywhere. But apparently just not here for some reason. The phraseology is clumsy. They do “form” here. Lost City is an example. They did form here. However once plants started producing oxygen, whatever was left from the formation quickly oxidized. What does J. F. Kenney flat-out not understand about the conventional theory, especially of oil formation? Forget about abiotic origin for the moment. The question is by what thermal process do straight-chain alkanes form from whatever biological source material under conditions of the crust. His claim is that this major constituent of oil cannot form by an equilibrium thermodynamic process for the same reason diamonds don’t form there. He nor me are claiming that the Fischer-Tropsch process takes place geologically. But, Fischer-Tropsch which takes place under conditions of pressure and temperature not representative of where Kenney claims oil forms, these are non-equilibrium processes as they are not run to completion if the more commercially synthetic #2 Diesel is what you want into instead of the less valuable methane. Oil can still form from organics through the plate-tectonic conveyor, but the claim is that molecular weights greater than CH4 require mantle conditions for formation, just as diamonds do. Yes, I know about the argument “how does the oil squeeze through the rocks up from the mantle”? But this doesn’t settle the argument as to from what source material (Kenney uses carbohydrates as a “straw-man” source, petroleum geo-chemists claim certain algae constituents as the source) and by what thermodynamic process does oil form in the crustal oil window? Yes, I heard your argument that it “has to” come from the crustal oil window, but if we don’t know the chemical pathways, this is a major gap in human understanding. It also undermines the claim that the people who don’t accept this are unscientific cranks. I rather people admit to the uncertainty in the science rather than make broad claims that the science is known, especially when it isn’t. Kenney failed to grasp the geothermal gradient… That’s an epic fail. Kenney knows as much about the geothermal gradient as anyone else. He claims, based on equilibrium thermodynamics that any heavier alkane than methane can only form under the extreme temperature and pressure of the mantle, much for the same reason that diamonds can only form there. There is that now semi-famous paper of how someone formed methane and higher alkanes in a diamond-anvil cell simulating mantle conditions, starting with water, iron ore and limestone. Calcium carbonate has an organic origin, doesn’t it? If straight-chain hydrocarbons are found anywhere else than in the mantle, such as in crustal deposits in the “oil window” portion of the geothermal gradient or in the gas tank of my car, they are “metastable” there, just like the diamond in a ring someone is wearing. The migration problem for diamonds is “solved” by the kimberlite “diamond pipe”, hypothesized to be a type of explosive eruption that no human has witnessed. I get that there is a problem, a whole bunch of problems, of how mantle oil could migrate to the oil window where it won’t get cracked into methane and petcoke. But how did it form in the oil window when the thermodynamics say that it cannot by an equilibrium process? One way to refute Kenney is his assertion that the conventional theory of oil formation starts with cellulose — material from vascular plants — from which he claims that under crustal conditions you can only form methane. Or coal. The most current version of conventional theory of oil formation is that you have to start with algae. There are papers suggesting that some algae, or organelles in algae, are much closer to oil than any tree or vegetable is. There is also what is called a serpentinization reaction involving some manner of fluid transport that facilitates non-equilibrium chemical reactions. But tell me that his grasp of chemical thermodynamics is wrong? Producible oil doesn’t exist below the oil window, only gas. And the hotter it gets, the drier the gas. This isn’t based on a theory. It’s based on over 100 years of drilling. Crude oil cracks if exposed to temperatures above about 300°F for an extended period of time. It generally can’t exist at depths anywhere close to the mantle. Walker Ridge 758 Chevron #1 is the deepest active oil producer in the Gulf of Mexico; drilled to a true vertical depth (TVD) of 28,497’ (8.7 km) in a water depth of 6,959’. It was completed in a Lower Tertiary Wilcox sandstone (26,831’ – 27,385’). The bottom hole temperature was 226 °F. 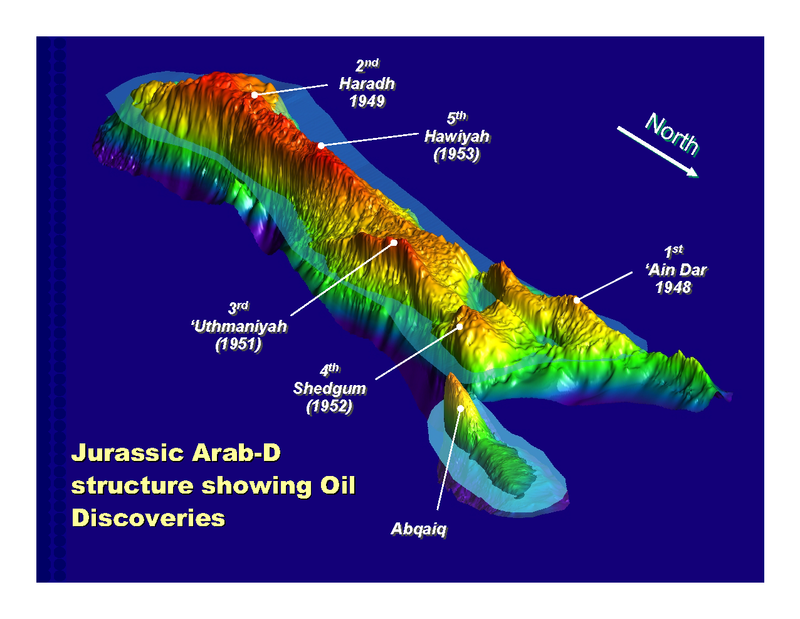 The oil migrated upward from deeper Mesozoic and Lower Tertiary source rocks. Even deeper oil reservoirs have been discovered in the oil window, many of these will be coming on production over the next few years. 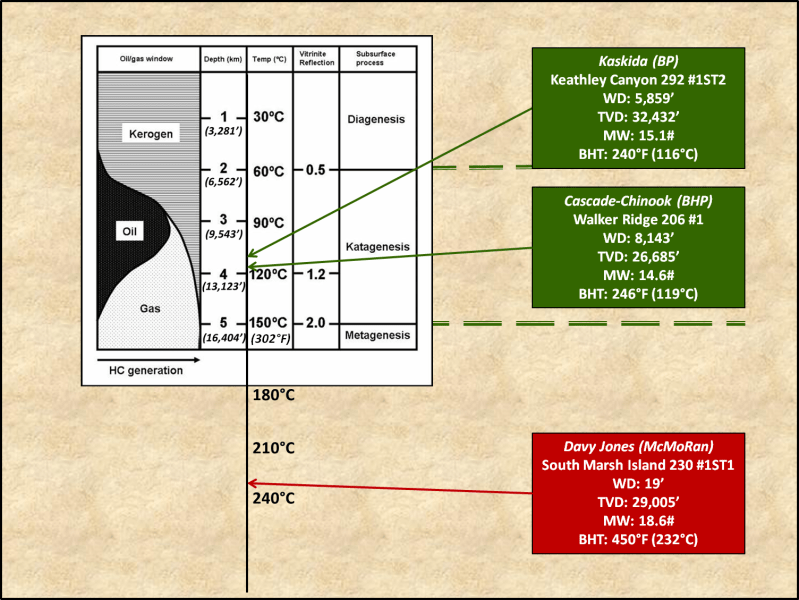 The depths on the chart are approximations based on a generalized geothermal gradient. 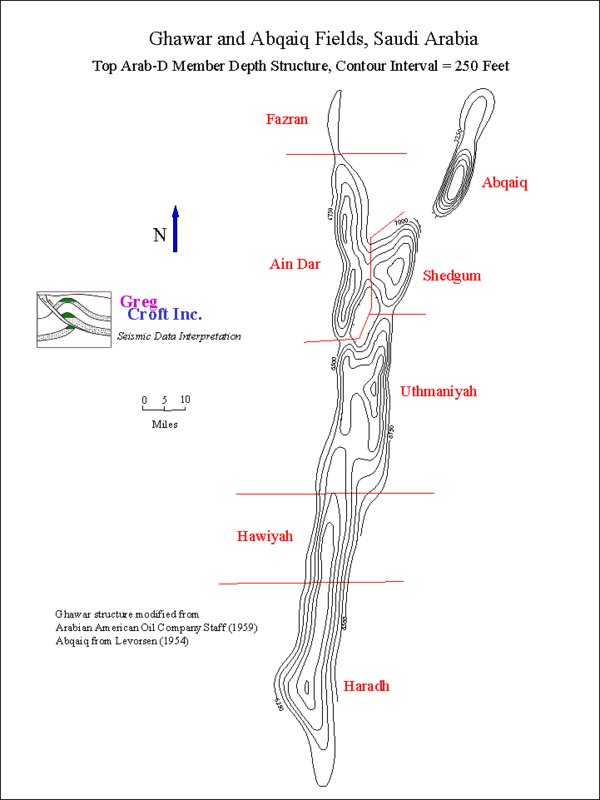 The geothermal gradient is highly variable. Water and halite (salt) are less dense than most rocks. When the overburden consists of 8,000’ of seawater and 2,000’ of halite, 30,000’ of overburden weighs a lot less than it does when it’s all composed of more dense rocks. 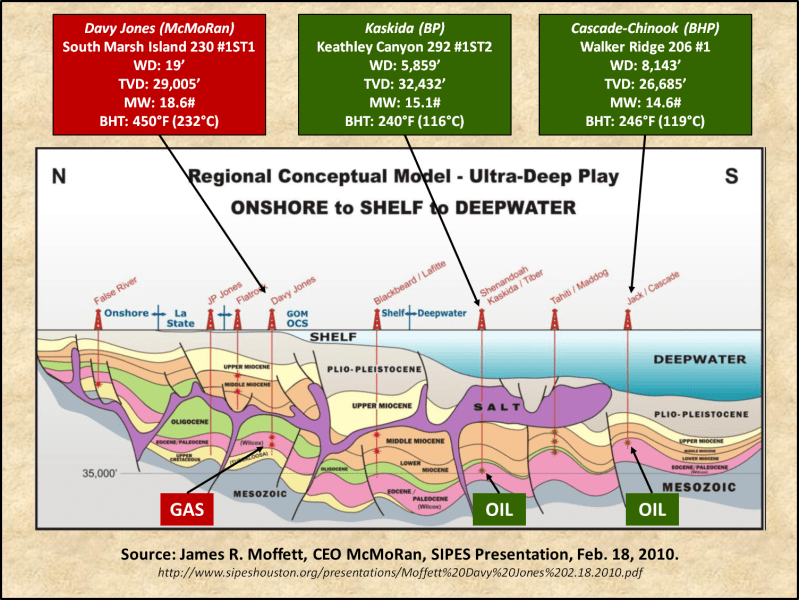 The ultra-deepwater Lower Tertiary play in the Gulf of Mexico and the deep subsalt plays offshore Brazil are often cited as examples of abiotic oil because the reservoirs are supposedly too deep, too hot and/or too highly pressured to be in the oil window. This is simply wrong. Tabular salt acts like a radiator. It conducts heat away from the substrata toward the surface. The combination of thick layers of salt and deep water depths enable oil to exist at depths previously unexpected. Salt and water are also less dense than most other overburden. This enables reservoir quality rocks to exist at deeper depths than previously expected. I’ve drilled wells deeper than 20,000’ in the Gulf of Mexico. The bottom hole temperatures were in the range of 215°F (100°C). Ten wells in the Gulf of Mexico, drilled to true vertical depths greater than 20,000’ have each produced more than 20 million barrels of oil. The maximum bottom hole temperature (213°F) was encountered in the Mississippi Canyon (MC) 777 TF001 well, drilled by BP. The average bottom hole temperature of those ten 20 million barrel producers was 197°F. It’s possible that crude oil-like substances can form at higher temperatures… however, producible volumes of oil haven’t been found below the oil window. Archer, I agree. In the link below is an image of a complex carbon based organic molecule — found in DEEP INTERSTELLAR SPACE. It is Gold’s premise that the vast, vast majority of hydrocarbon deposits of oil and gas and hard coal on earth are from hydrocarbons present in the original stellar accretions of space dust which amalgamated to become the earth. As such, these reserves are NOT biological in origin, the reserves are much more abundant than thought, are fully renewable, and virtually inexhaustible. Thomas Gold is a member of the National Academy of Sciences, a Fellow of the Royal Society, and an Emeritus Professor of Physics at Cornell University. Regarded as one of the most creative and wide-ranging scientists of his generation, he has taught at Cambridge University and Harvard, and for 20 years was the Director of the Cornell Center for Radiophysics and Space Research. I imagine it will take some time to get rid of the belief that oil and gas are “fossil” fuels and non-renewable. David you are a national treasure! Aramco’s proposed $10 billion bond issue is 10 times oversubscribed. David: Re “I planimetered the areas of the five segments and then calculated to OOIP using this equation:” Was that a K&E compensating polar planimeter or equivalent, or have you gone over to the dark side with one of those battery-powered rolling things? Three traverses and divide the cumulative by three? Did you adjust for the tooth (roughness) of the paper and account for grease spots from the donut? Thank you. Bookmarked. But I still miss the coffee and donut while planimetering. I learned to planimeter in 1966 when I started working for the Gas Department in the Alberta Oil and Gas Conservation Board. The next year they hired a young fellow that used to party on the weekend and often spent his noon hour lunch in the nearby hotel bar. One day I went by the work room and he was planimetering and he was shaking so bad he had trouble staying on the line. I informed the Chief Reservoir Engineer and after watching the fellow work he laughed and said not to worry, that the trainee was shaking on both sides of the thickness pay line and it should all even out. That was the last time he was assigned that job. He only lasted another couple of months since he had trouble coming getting to work on Mondays. A Seneca cliff in oil is no longer fantasy. Venezuela is displaying one for all to see. How to go from 2.4 million barrels per day to 700,000 bpd in just three years. In your mind, the incompetence of those running the oil company has nothing to do with the drop off in production? Seneca did not specify a required cause in his letter to Lucilius. He just said that the road to ruin is much faster. When things start to go wrong problems mount an a Seneca cliff often results. There is nothing mysterious about it, and ruling out the cause for one Seneca cliff does not mean that another cannot take place from different causes. Let me see if I have this right. 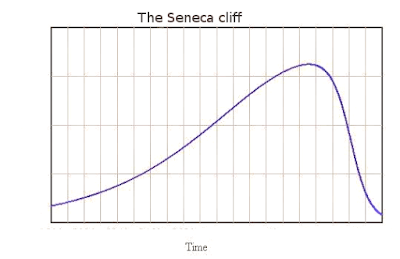 Any sudden drop, regardless of cause, is a Seneca Cliff. To be a Seneca Cliff, recovery is not possible as the resource is exhausted. A production drop because of the incompetence of the operators can be reversed by bringing in competent operators. Therefor such a drop cannot be a Seneca Cliff. No, you don’t have it right. Seneca’s example was the fire that destroyed Lyon the previous summer. Lyon was reconstructed. The lesson is that what takes a lot of effort to build can collapse in a moment. 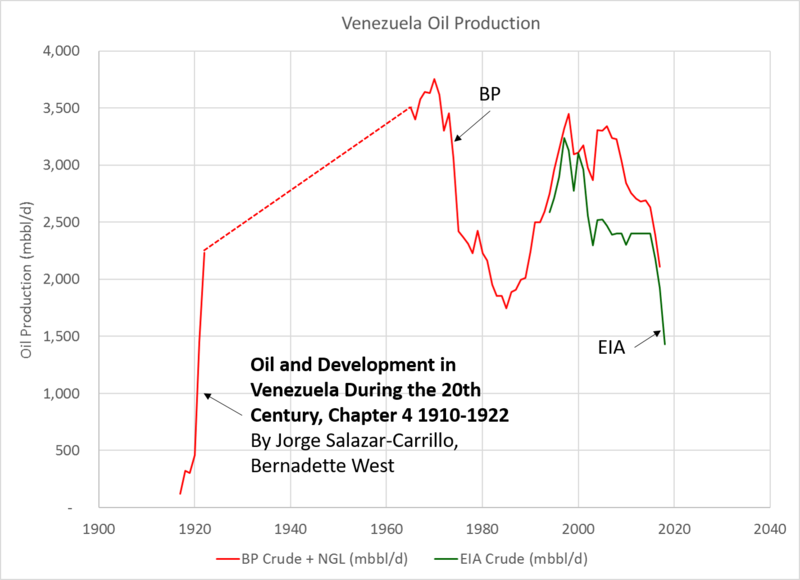 Venezuela’s oil production is a perfect example of a Seneca cliff. Another typical example is North Atlantic cod captures that peaked in 1980 and collapsed afterwards. The resource is not exhausted as cods are renewable but it might take a long time to increase their population to previous levels. You just repeated the nonsense from earlier, using different words. 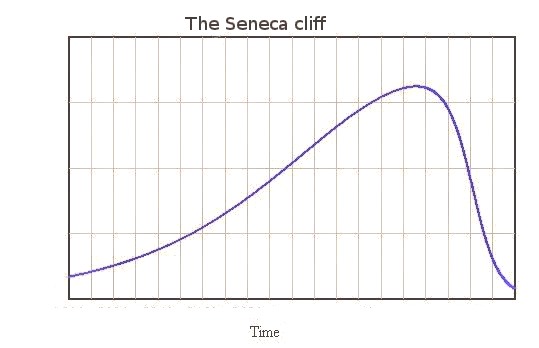 Every sharp drop off is proof of Seneca. No matter what happens, it’s proof that the theory is right. It’s the Malthusian version of catnip. Every transient drop in something is instantly an irreversible jump off Seneca Cliff into Olduvai Gorge. You just have the wrong idea about what a Seneca cliff is, and I am trying to explain politely. The Seneca cliff is not a theory. It is an observation. As such it cannot be right or wrong, as observations simply are. It is the observation that many things that take a long time to became, collapse in a much faster way. 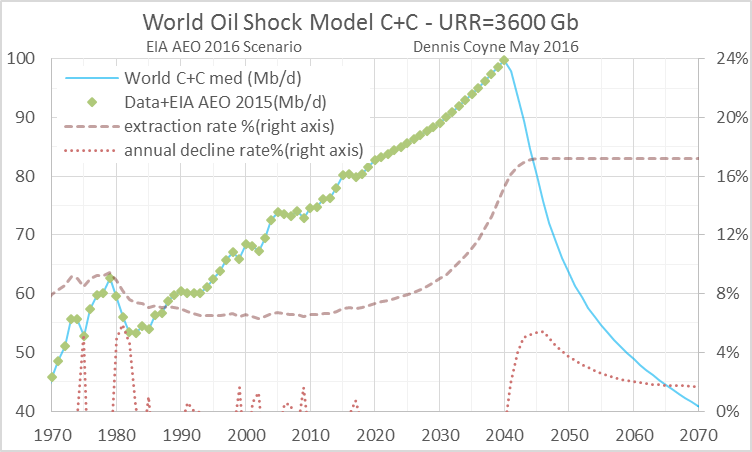 Whether post-Peak Oil production would suffer a Seneca cliff is anybody’s guess, but it is certainly a possibility. If the economy suffers badly from post-Peak Oil consequences oil might become unaffordable to most, and demand could crater. Mexican Cantarell oil field also shows a Seneca cliff in oil production. Seneca’s observation is valid 2000 years later because these sort of things happen. 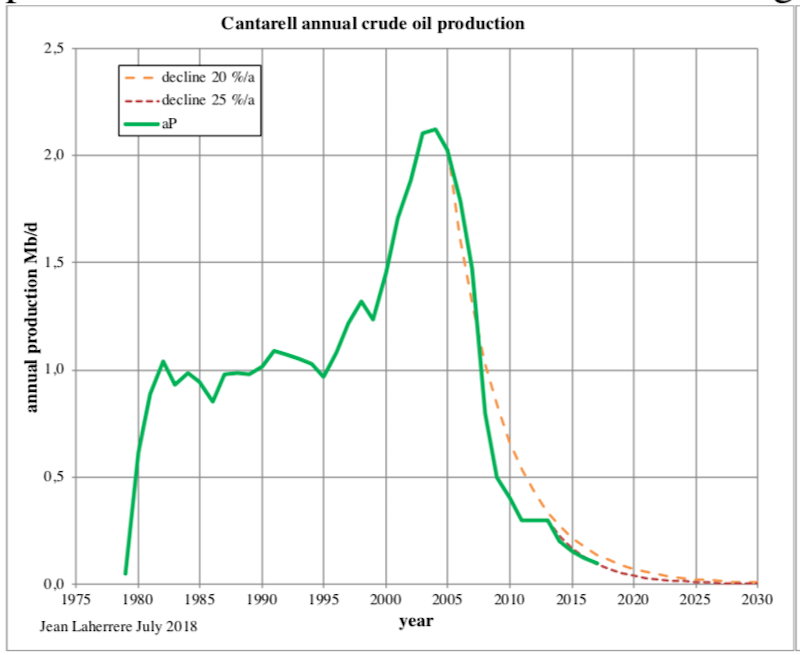 Production at Cantarell began in 1979 but stagnated as a result of falling reservoir pressure. In 1997, Pemex developed a plan to reverse the field’s decline by injecting nitrogen into the reservoir to maintain pressure, which was successful for a few years. “However, production resumed a rapid decline beginning in the middle of the last decade—initially at extremely rapid rates, and more gradually in recent years. In 2013 Cantarell produced 440,000 bbl/d of crude oil, which was nearly 80% below the peak production level of 2.1 million bbl/d reached in 2004,” EIA added. “As production at the field has declined, so has its relative contribution to Mexico’s oil sector. Cantarell accounted for 17% of Mexico’s total crude oil production in 2013, compared with 63% in 2004,” EIA continued. Cantarell’s position as the largest producing oil field in the country was eclipsed by the KMZ Field in 2009. KMZ’s annual average was 808,000 bbl/d compared to Cantarell’s 684,800 bbl/d. The KMZ Field was producing 855,100 bbl/d in 2012. Pemex was focusing its efforts on the KMZ development, which can use the existing facilities at Cantarell. With the recent energy reform in Mexico, mature fields like Cantarell could get a boost in investment from foreign firms. By bringing in foreign technology, Pemex could both boost production from Cantarell and extend its life even further. Every sudden drop is a Seneca cliff. Bjorn Lomborg has a great explanation of this in The Skeptical Environmentalist. Could you post this as an image? Links are just not convincing. Javier’s link is to a jpg, so it is an image – just one you have to click on the link to see. Unfortunately only those with special permissions can post a link to an image and have it show up as an image. I’m happy to post images for people. I posted Javier’s image in one of my comments (Peak Oiler Seneca Cliff). Venezuela’s recent decline has nothing to do with the crude oil reservoirs. Hurricanes shut down production in the Gulf of Mexico. Wars shut down production in entire regions. Venezuela’s recent decline is largely due to economic sanctions and their failed status as a nation. Looks a lot more like a Hubbert curve than a Seneca Cliff, even with the sanctions-driven short-term decline. For that matter, the sanctions-driven decline looks a lot like the nationalization-driven decline in the 1970’s. Rystad has it wrong. 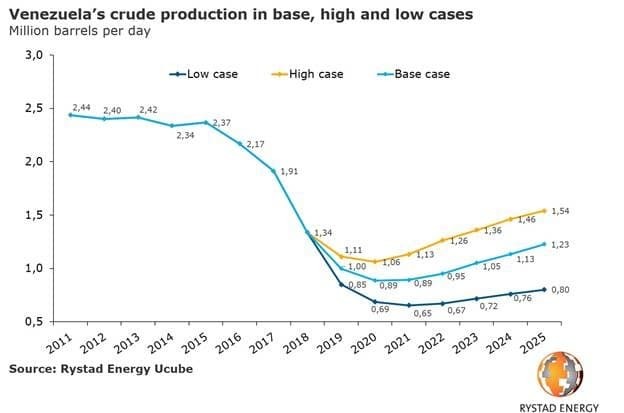 It is 2019 and Venezuela’s oil production is already lower than their low case. Predictions about oil production or oil price aren’t worth much. Venezuela’s decline is not due to sanctions. The decline in Venezuela’s oil production won’t be short term, since due to neglect a lot of the infrastructure is damaged and replacing it will take time and money. Rystad’s low case had the annual average dropping to about 800,000 bbl/d this year and falling below 700,000 bbl/d next year. The collapse over the past year is driven by US sanctions. Recovery will be a slow process, even with regime change. The failure of PDVSA started in the late 1990’s when Chavez fired most of the staff and replaced them with cronies. 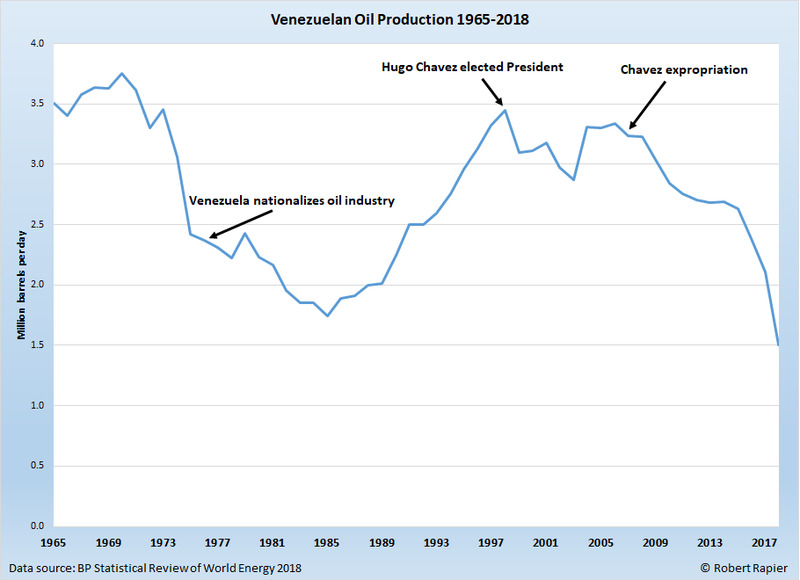 It worsened in 2007 when Chavez expropriated ExxonMobil’s and ConocoPhillips’ assets and drove foreign capital out of Venezuela… Not unlike the collapse in the 1970’s when Venezuela nationalized its oil. None of this is related to Peak Oil, much less a mythical version of Peak Oil. I think there are two misunderstandings here. First I don’t know anyone who suggested Seneca cliff applies to oilfield decline. Gail Tverberg does apply to societal collapse which will in turn impact our ability to produce the last part of the oil. Venezuela is a temporary example. Get rid of the socialist down there, there is still an group of outsiders willing to help Venezuela recover. But if global economy were to collapse due to the high price of oil, there are no outsiders to help out. Producing oil requires a huge number of specialists who must be supported by an agricultural system which turns petroleum into food via petroleum based fertilizer and fuel. When peak oil production occurs, the agricultural system will be at risk and that in turn will risk societal collapse from starving people trying to survive. Peak oil production will only put agriculture at risk if the peak is due to an inability to produce enough refinery and petrochemical feedstock to meet demand. Peak oil, when it occurs, will more likely be due to a flattening of demand growth, rather than a sudden inability to produce enough refinery and petrochemical feedstock. but many people use the terms interchangeably. small percentages of other gases such as CO2. will be exploited. The Chinese are beginning to do so now. Cat cracking can convert the gas to diesel, gasoline, etc. There’s enough methane hydrates on the US OCS to cover about 1,000 years of consumption. However, there’s currently no economic way to produce them. Chinese are currently producing hydrates. According to Guangzhou Marine Geological Survey (GMGS), by 21 June total production of methane at the drilling site southeast of Hong Kong more than a kilometre underwater had extracted 230,000m3 of methane, with an average daily production of 6800m3. 6,800 m3 = 240,140 ft 3… That’s 240 mcf/d in deepwater (1 km ~ 3,280 ft). That is about 1/100 of an economic production rate in 3,000′ of water… 240 mcf/d isn’t even a marginal onshore gas well. As I said, it is not currently economically possible o produce methane hydrates. It should be… I linked to a version that was open open for editing. 1 is that when the supply of other hydrocarbons falls below demand, prices will rise until it is economic to use other resources. And 2, the technological problem is not in a zone forbidden by the laws of physical science and mathematics (faster than light, sunshine in the nighttime), therefore it will, when prices provide a sufficient incentive, be solved, without warning. 3. “Environmentalists” will be dead set against it. The problem is getting a meaningful production rate. A TCF of gas in 3,000′ of water only capable of producing at a rate of 240 mcf/d per well is worthless… 24,000 mcf/d per well might work. Is the higher rate forbidden by a law of physics or mathematics? Mostly by a lack of reservoir pressure. At this rate they will start to bother to look for pre-salt oil in about 20 years. Basic question here: Does the dominant producer with the largest reserves have any incentive A) to look continuously for more reserves or B) to pursue high cost investment in production in known resources such as heavy oil, shale oil, or gas fields? I think not. It’s all about reform. The IEA published a WEO 2008 survey of all of the worlds significant oil fields—all supergiants and giants, many majors—794 in total accounting for about 2/3 IIRC) of world production at that time. They were primarily seeking two pieces of information: estimated total recovery, and decline rate. 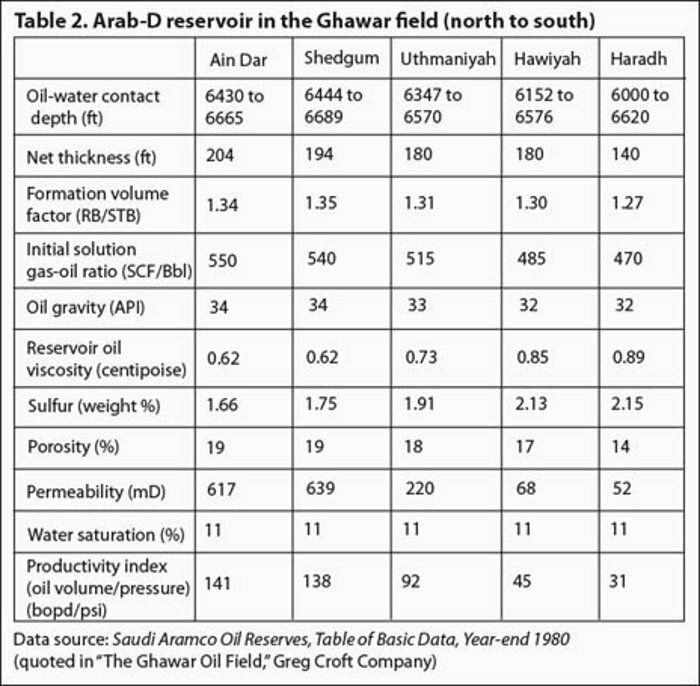 They found that the best oilfields (like Ghawar or Samotlar) have estimated ultimate total recovery (primary plus water flood plus tertiary) averaging about 65% just as you calculate. But the average ultimate recovery for all 794 was 35% (higher viscosity, less favorable porosity and permeability). The average decline rate for all was 5.1%. Shows how the best compares to the average. Wrote it up in one ov several oil focused energy essays in ebook Blowing Smoke. The average decline rate for all mature fields is around 5%… For giant fields (>1 Bbbl) it’s closer to 2%. Ghawar’s very high recovery factor is due to reservoir rock properties and very strong water drive. Peak Oil is implicit in what you wrote about. i.e. 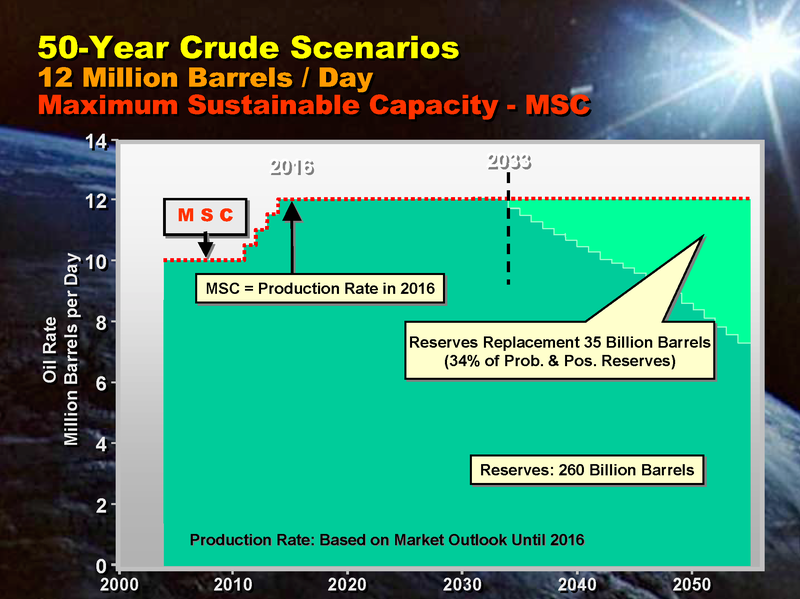 peak oil a some point in the relatively near future. Possibly around 2040 like Mike Jonas suggested recently. Peak oil for one field, would not be evidence that peak oil for the earth is at hand, or even close at hand. It is odd that everyone forgets about ‘conventional’ hydrocarbons. The Saudi oil reservoir is small compared to the Canadian high viscosity ‘heavy’ oil reservoir. It is interesting when a person tries to explain why there are super large deposits of hydrocarbons, on the surface of the planet. The Canadian Athabasca heavy oil deposit contains 1.7 trillion barrels of oil which is more than the entire world’s estimated 1.5 trillion barrels estimate of ‘conventional’ oil. The unconventional heavy oil all contains massive amounts of heavy metals. The amount of heavy metals in oil increases as the oil viscosity increases. The Canadian heavy crude is solid at room temperature. It must be melted and then diluent added to enable it to be shipped. The metals in the Canadian heavy crude are so high that a special catalyst is required for oil refining. The Athabasca sticky (high viscosity) oil sands deposit contain roughly 1.7 trillion barrels of heavy oil. This compares to the total oil reserves of the top 17 countries of 1.5 trillion barrels of oil and Venezuela’s heavy oil deposit of 1.2 trillion barrels. The Orinoco Belt consists of large deposits of extra heavy crude. Venezuela’s heavy oil deposits of about 1,200 billion barrels (1.9×1011 m3), found primarily in the Orinoco Petroleum Belt, are estimated to approximately equal the world’s reserves of lighter oil. The Athabasca oil sands (or tar sands) are large deposits of bitumen or extremely heavy crude oil, located in northeastern Alberta, Canada – roughly centred on the boomtown of Fort McMurray. These oil sands, hosted primarily in the McMurray Formation, consist of a mixture of crude bitumen (a semi-solid rock-like form of crude oil), silica sand, clay minerals, and water. The Athabasca deposit is the largest known reservoir of crude bitumen in the world and the largest of three major oil sands deposits in Alberta, along with the nearby Peace River and Cold Lake deposits (the latter stretching into Saskatchewan). Together, these oil sand deposits lie under 141,000 square kilometres (54,000 sq mi) of boreal forest and muskeg (peat bogs) and contain about 1.7 trillion barrels (270×109 m3) of bitumen in-place, comparable in magnitude to the world’s total proven reserves of conventional petroleum. Firstly, you’re comparing entire basins to an individual oil field. Secondly, there is a huge difference between oil in place, technically recoverable oil and economically recoverable oil. There’s well over a trillion barrels of oil in the Green River Oil Shale in Colorado… About 100% of it is technically recoverable. None of it is currently economically recoverable. The Canadian heavy oil is found primarily three very large deposits, not basins. When a deposit of oil is very large it does not change from a deposit to a basin. ‘Basin’ the word, as used in the oil industry, is a region where the oil deposits are found. The Canadian heavy oil is oil, just oil with less hydrogen and lots of heavy metals. I missed adding a quote from my link. There isn’t a direct comparison. The fact that the most prolific resource play, the Permian Basin, only barely tops Ghawar’s most likely current production rate ought to be a clue. The volume of oil in place or even the volume technically recoverable is irrelevant if it’s uneconomic. I have no idea when global peak oil production will occur… It’s possible that it’s already occurred. There’s just no way to know until it’s already happened. The relative inelasticity of demand means rapid upward price movement for petroleum when there is a significant shortfall relative to demand. Substantial long term price increases (inflation adjusted) over historical prices seem to me a strong indicator of resource limitation; that strong signal seems lacking at present. Of course, any rapid price increase will, in both the long and short term, lead to greater economically recoverable petroleum resource. It is probably impossible to define the inventory of “recoverable” petroleum, since the answer depends on how much marginal petroleum production is valued in the market. My guess is that the potential price is very high. The inelasticty works both ways. Supply can’t quickly adjust to demand either. The inelasticity is probably one of main drivers of boom & bust cycles. It’s debatable whether or not inflation-adjusted prices have a clear trend… But, the resource is absolutely limited… And I agree the total inventory of recoverable resource is unknowable. 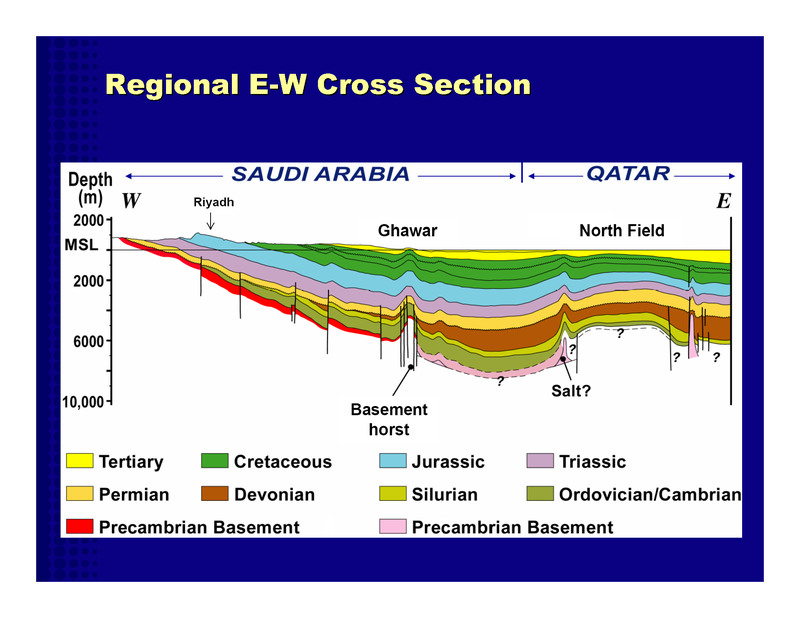 Has Saudi Aramco done any exploration drilling in the huge Rub Al Khali area between the south end of Ghawar and the “new” Shayba field? Saudi Arabia is pumping less today than it was 1979. It is probably fair to say that the Kingdom is near the top of its production capacity. While it may stay there for some time, it is unlikely to cover much growth in demand. Indeed, since 2005, US shales have provided 65% of oil supply growth by themselves, 77% with Canada’s oil sands. That is a remarkable degree of dependence on really a single source of supply — US shales. When shales falter, we’ll be right back in a high oil price environment. Note Patterson’s very detailed discussion of Saudi reserves and depletion rates. Patterson is wrong in every way possibly imagineable. If Saudi Arabian oil fileds had an average depletion rate of 29%, they would have been gone in the 1960’s. Thanks, David, extremely informative, clear, well written, well referenced. The part I liked most was the part that “formed in response to right-lateral transpression”. I keep looking to see where that combination of words goes off my mental rails and I can’t find the exact spot. English is a wonderful language. I’m glad I work the Gulf of Mexico… our faults generally don’t exhibit transpression or transtension… mostly just up and down. “The field averaged 820 bbl/d in 2018” in reference to the Eugene Island 330 field meant 820,000 bbl/d based on the y-axis on the plot above the caption. Did I interpret that correctly? Surely, we would not be discussing 820 bbl/day. 820 was a typo. It should have been 8,200. The x-axis is cumulative production. The y-axis is the average daily rate. Conclusion: Ghawar is running out of oil, and we are very unlikely to ever find anything close to what that field has left today. Did you ever wonder what all those Saudis are going to do when their population is 50 million and their oil production drops below 4 million BOPD? I think they will be heading north. Ghawar has been “running out of oil” since the first well went online in 1951. Ghawar’s proved reserves are sufficient to keep production above 2 million bbl/d until 2050 and Aramco’s overall proved reserves are sufficient to keep Saudi oil production above 10 million bbl/d for 70 years. I still need to fix those. David Middleton – Thanks for your details and calculations. “Secondary Waterflood EOR 50%” vs “Tertiary CO2 injection EOR 60%”. i.e., how do you get more oil out than the Oil Originally In Place (OOIP). 1) What are the assumptions for Original Oil In Place OOIP? 2) How does Secondary Waterflood achieve 90% recovery of OOIP? Is this Residual Oil Zones (ROZ) recovering oil below the conventional OOIP? And/Or in separate along side recovery zones? Has any of such tertiary CO2 EOR evidence been published for KSA? PS Do any of those include the 500 ft thick “tar matt” layer mentioned by Matt Simmons in Twilight in the Desert p 174. The recovery rates were ballpark figures. 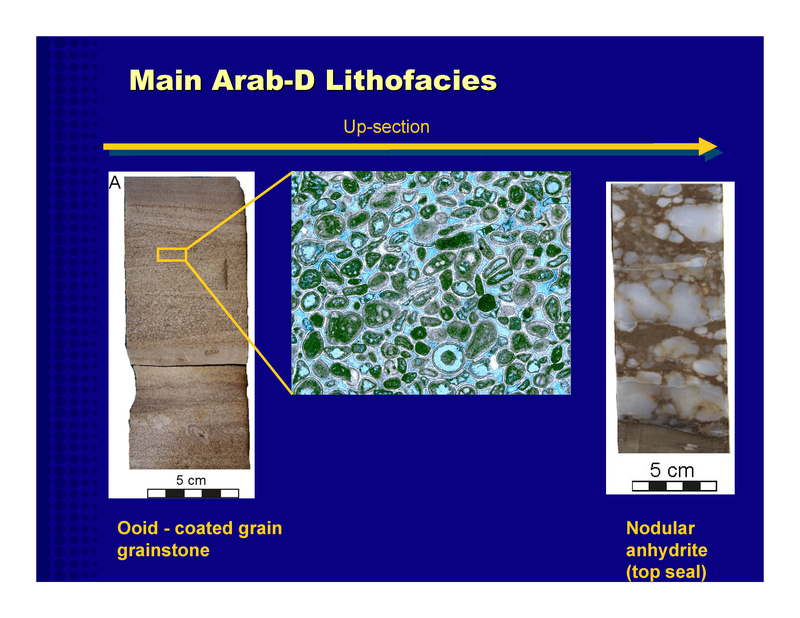 A 40% primary recovery rate is roughly the historical average for high-porosity, high-permeability, strong water-drive reservoirs, like Ghawar’s Arab-D. I’ve seen >50% primary recovery rates in the Gulf of Mexico. The uplift from secondary and tertiary recovery methods is quite variable. Waterfloods can push recovery rates to 60% and CO2 can take it up to 80%. I used more conservative numbers in order to match my estimates of OOIP and cumulative production and D&M’s 1p number (the most reliable of the 3 numbers). About 183 billion barrels of oil. To give a comparison, the North Sea coal seams contain up to 23 trillion tonnes of coal. Coal is oil that just hasn’t transitioned yet. One tonne of coal produces about 2.5 bbl of crude, so the North Sea contains up to 57 trillion bbl of what is effectively crude oil, once you put it through a CTL plant. Ghawar is a drop in a bucket by comparison. Crude from CTL is already pretty competitive, with a number of CTL plants in operation around the world today. Anyone still talking about Peak Oil? CTL and GTL are certainly Peak Oil work-arounds… But not really neccesary right now. Now I fully appreciate the saying, “that’s like carrying coal to Newcastle”. I had no idea of the quantity of coal. Amazing. Hope I can find something online about the geology. Abiotic is very reasonable to consider. Just look at Titan! Beyond that, methane in the atmosphere doesn’t mean that there are also huge amounts of methane in the crust. The thing about Titan, is that just about everything appears to be made of methane and/or other hydrocarbon molecules. If oxygen producing plants had evolved on Titan, there wouldn’t be any methane left in it’s atmosphere either. Nice work David, thanks very much for your time in posting this. I’ve been tinkering with this for a couple of years. The D&M audit and bond prospectus provided the information I needed to finish up. I did a couple of weeks consulting on the Hawiyah segment about 20 years ago. 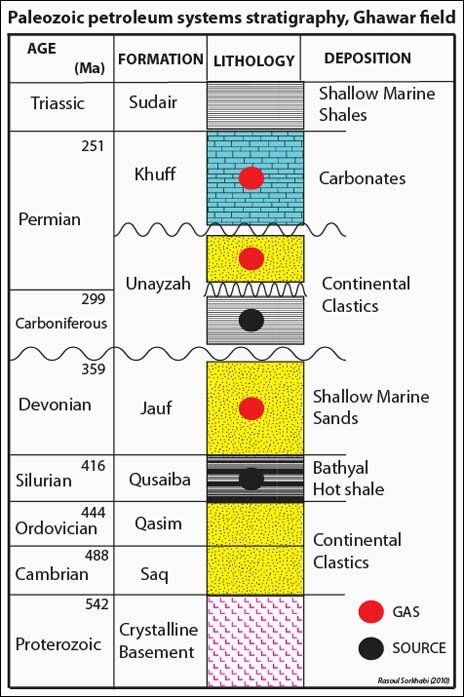 It’s a fascinating oil field to work on, incredibly complex at the pore scale and seemingly simple on the macro scale. Phenomenal geology in that part of the world. It’s taken me three years to “unpack” a 30-year old 20 million bbl field in Ewing Bank with only about 30 wells and a dozen or so producing horizons. Fortunately it was an old Conoco field, so there was a systematic nomenclature…. I can’t even begin to think about what it took D&M to audit Ghawar. I think they had 60+ engineers and geo’s working on it. Ghawar is 100 times the size of Eugene Island 330, which was the largest oil field (BOE) in the Gulf of Mexico before the deepwater Mars field topped it… And Ghawar is 50 times the size of Mars. Excellent work. One of the best I’ve seen about Ghawar, and I’ve seen many! Fascinating stuff, My thin belief in the power of solar renewables further diminishes. A genuine, slightly off topic question spawned by your brilliant diagrams. I “get” tectonic plate movement and volcanoes spewing materials from the core. I get the layering of biological materials on land and sea turning into rocks and fossil fuels over time. I get the water cycle and nutrients on the surface tending to be washed down. But my dumb question is how did all that solid material get on top of what is already there? The earth crust is 30-45km deep and we have drilled down for oil 10km. That implies there is 10km worth of biologial material on top. How does it get there and where did it all come from? Basically just volcanic activity? The biological material for oil and most natural gas is mostly plankton and algae. 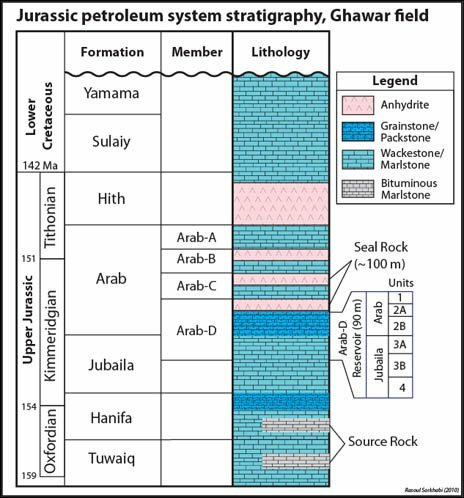 Ghawar’s source rocks are an organic-rich Silurian shale formation. Sincere thanks for the prompt reply and the new graph which prompts an extra question. I was thinking in terms of the volume of basic molecules forcing the original biological materials 10km undergound through sedimentation. Over the last 200m years essentially the top third layer of the crust has been replaced with molecules that came from somewhere. Tectonic movements and surface activity spawning erosion I get but once that organic layer has settled into sediment where does the new organic matter get its molecules from? Nitrogen fixing and co2 from the atmosphere is what grows plants but where do those molecules come from? Extra question-Given that temperatures and CO2 was higher in the Jurassic period when most oil source rock was formed, are we in effect refertilising the atmosphere by using fossil fuels? There is 11% more greenery on the earth over the last 40 years after all. The answer to your first question would be like teaching a semester of sedimentary geology… I didn’t go into teaching for a reason… Well, several reasons. The answer to your second question is yes. Does it mean that higher CO2 concentrations are entirely beneficial? Insufficient data. Silly question. Why do they say “proved” instead of “proven”? Proven is usually an adjective (e.g., a proven formula), and proved is usually the inflected form of the verb prove (e.g., I proved it; I have proved it). This is not a rule, though, and exceptions abound, especially in American English, where proven is often used as a participial inflection of the verb. For example, where a British writer is likely to write I have proved you wrong, an American writer might write I have proven you wrong. That said, people do also refer to reserves as proven… I use proved because that’s what the SPE and SEC call them. Part of my argument for abiotic hydrocarbons is the Horsehead Nebular. 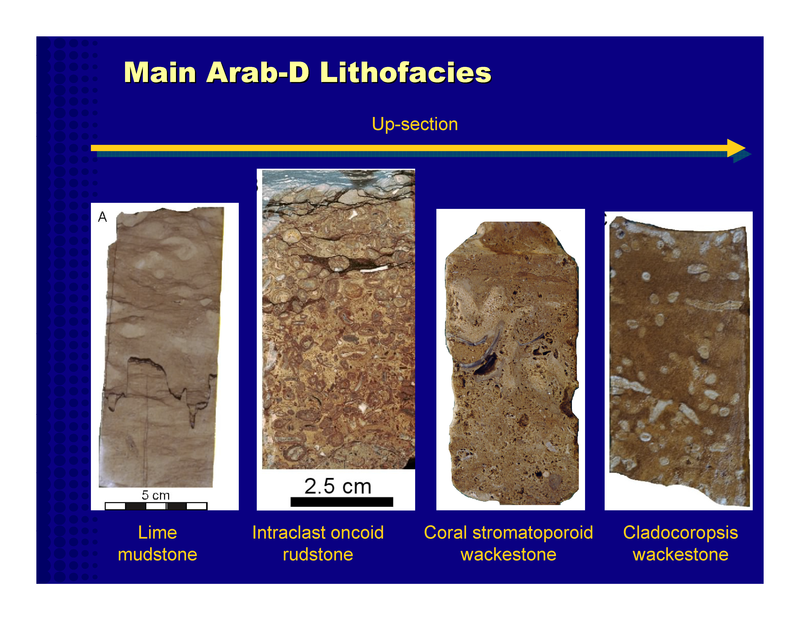 How does the fossil theory explain this phenomena? The Horsehead Nebula isn’t Earth. Setting aside, the speculative nature of such an analysis… it’s irrelevant to Earth. Methane appears to be everywhere on Titan because Titan appears to be largely composed of methane and other relatively simple hydrocarbons… Earth isn’t. None of which is oil. Methane is abundant everywhere. Other simple hydrocarbons also appear to be present in at least trace quantities. Traces of octane have been detected at the Lost City hydrothermal vent. It’s not a matter whether it’s possible or not. Oil is a mixture of several complex hydrocarbons and has to be produced from economically viable accumulations. then starts to form planets, some possibly proto earths. are included in all planets, then physics and chemistry take over. Methane, ethene, and acetylene are detected in Saturn’s atmosphere. and larger molecules are formed. oxides. Hydrocarbons were always here.